The concept of assets and depreciation are important for your small business - they have a direct impact on the tangible assets in your business, how you account for them, and how much tax you pay. We’ll explore the meaning of assets and depreciation and tell you what you need to know. A business has two main types of assets - tangible and intangible. Tangible assets are physical "things" that your business owns. This might include stock and inventory, your office building, land, furniture, computers, vehicles, office equipment, machinery, and more. Intangible assets are things that your business owns that are not physical. This might include trademarks, patents, copyrights, branding, and similar areas. Tangible assets lose value and depreciate over time, intangible assets do not. As a result, it is only tangible assets - physical things - that your business can depreciate for tax purposes. Most tangible assets that you would depreciate should have a value of more than £500. Both tangible and intangible assets are shown on your balance sheet for accounting purposes. Not all tangible assets are depreciated over time - only those that have a useful life for your business of more than one year. For example, stock and inventory will not typically be retained by your business for more than a year. As a result, you wouldn’t typically "depreciate" stock - instead, you would write off the total cost of the stock as an expense when you purchase it. Usually, it is only the assets that have a useful life of more than a year - items like vehicles, property, and equipment - that you would depreciate. Depreciation means that you write off the value of the asset over it's expected useful life. The value of the asset depreciates over time and you can write off a certain amount as an expense against taxes every year. Although you may need to pay all of the expense up-front, you cannot deduct all of that expense from your taxes in one go. For accounting purposes, depreciation does not actually represent any kind of cash transaction. Instead, it simply represents how much of an asset's value has been used up over time and can be deducted as an expense. Over time, the depreciation of an asset will build up - the total depreciation over a period of time is known as "accumulated depreciation". The "book value" of an asset is calculated by deducting the accumulated depreciation from the original purchase price. The book value is what is reflected as the asset's value on the balance sheet. The initial cost of the asset. The expected residual value (also known as salvage value) - this is the value of asset at the end of its useful life, which may be zero. An appropriate method of apportioning the cost of the useful life of the asset. As you can see, by using this method the annual depreciation charge will be the same each year. Plant and machinery — expense around 15% - 20% of the overall value a year, with a full write-off over 5 to 7 years. Fixtures and fittings — expense around 15% of the overall value a year, with a full write-off over 6 to 7 years. Furniture — expense around 20% of the overall value a year, with a full write-off over 5 years. Motor vehicles — expense around 25% of the overall value a year, with a full write-off over 4 years. Equipment and computers — expense around 33% of the overall value a year, with a full write-off over 3 years. 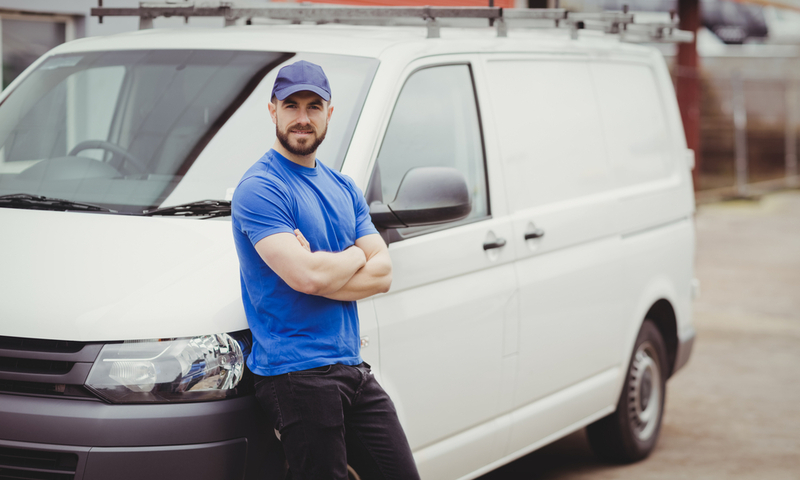 As an example, let’s assume that you purchase a van for your cleaning business. Initial cost of van: £20,000. Depreciation rate: 25% a year. Amount to depreciate: £18,000 / 4 = £4,500 a year. This means you could write-off £4,500 of the van’s value as an expense against your taxes each year. After 4 years the van will be fully written off and no further depreciation can be claimed. Notice that at the end of the 4th year, there is a book value of £2,000, which equates to the salvage value of the vehicle. HMRC does not actually use depreciation to calculate your corporate tax. Instead, they use a method called "Capital Allowance". In principle, it works exactly the same as depreciation, but HMRC may have slightly different rules with regards to what may be depreciated and the amount of depreciation that you can claim. Deprecation cannot be claimed as a taxable expense, but capital allowances can be. In practice, for most small businesses, the depreciation expense and capital allowances will be the same (or very close), but we definitely recommend chatting to your accountant to ensure that you are making the most tax-effective decisions. We'll be using the example above to reflect how you should account for depreciation in AccountsPortal. You can either enter a Spend Money transaction for an amount of £20,000 and the contra account set to Motor Vehicles (account 1040) or you can create a Journal Entry. If you create a journal, then you would Debit Motor Vehicles (account 1040) and Credit the relevant bank account with £20,000. Profit & Loss Statement The depreciation expense in each year (£4,500) will be automatically taken into account in the P&L Statement, reducing the net profit. Balance Sheet The balance sheet will show the original purchase price of the asset (£20,000) less the total accumulated depreciation to date. By the end of the fourth year, the accumulated depreciation will total £18,000, leaving a book value of £2,000 on the balance sheet. As you can see, assets and depreciation don’t need to be complicated. You just need to keep a record of exactly what you’ve purchased, and work with your accountant to understand the useful life of the item. You can then apply proper depreciation values when preparing your accounts.